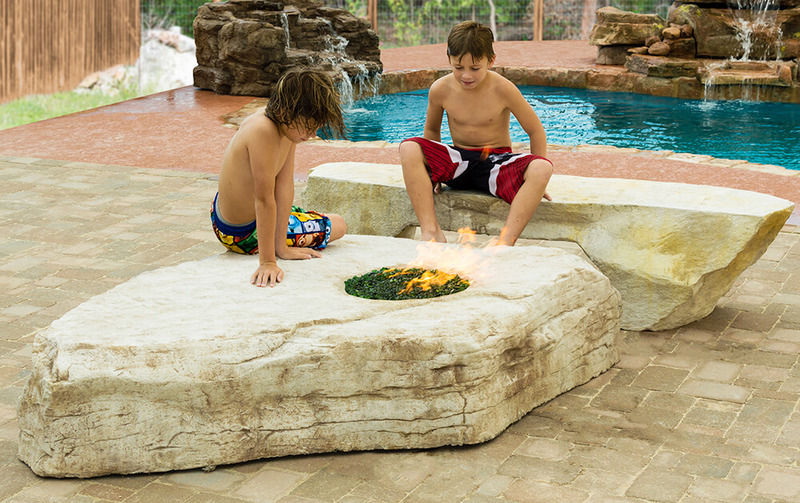 The Boulder Firepit is a novel alternative to the old fashioned deck type pit. 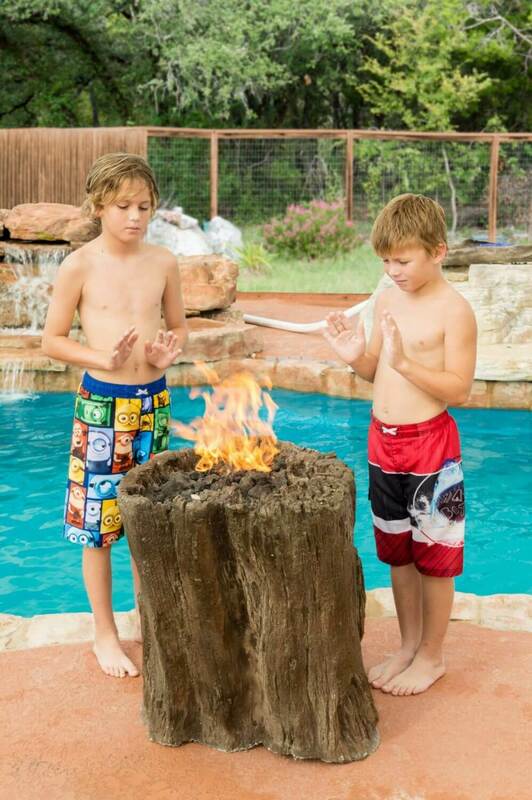 A 12 inch Stainless Steel fire ring is included. 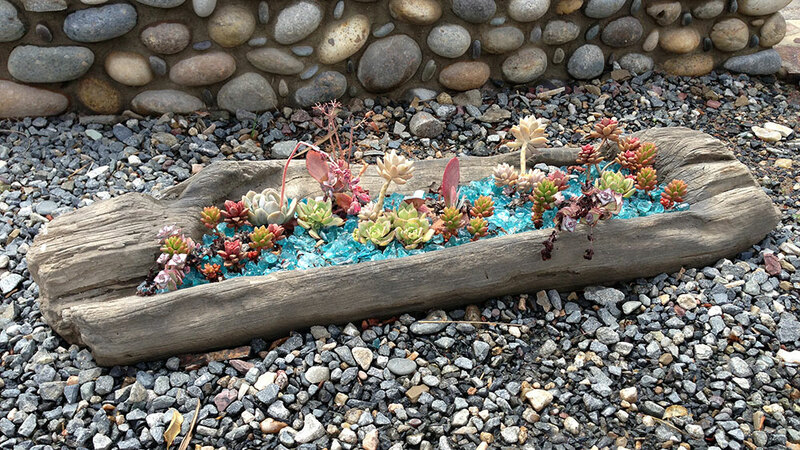 Glass or lava rock is available as well as a hook-up hose for propane. The tank does not fit under the boulder, and there is no access panel. Dimensions: Measures 63″x48″, 15 inches high. 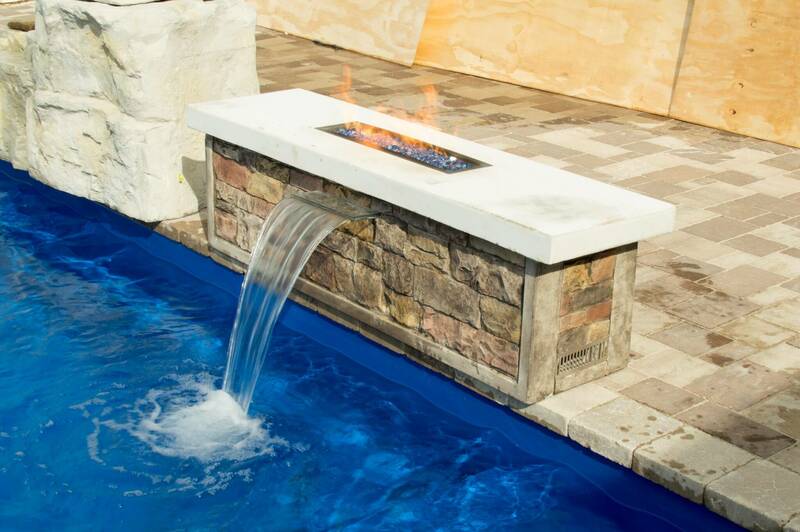 Let the fire blaze and the water flow poolside. 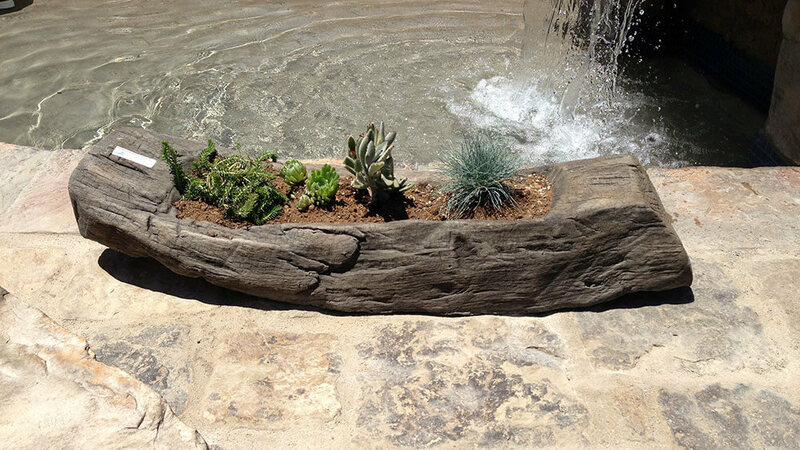 This bench has a stone like finish on the sides and a plain concrete or fancy concrete top. 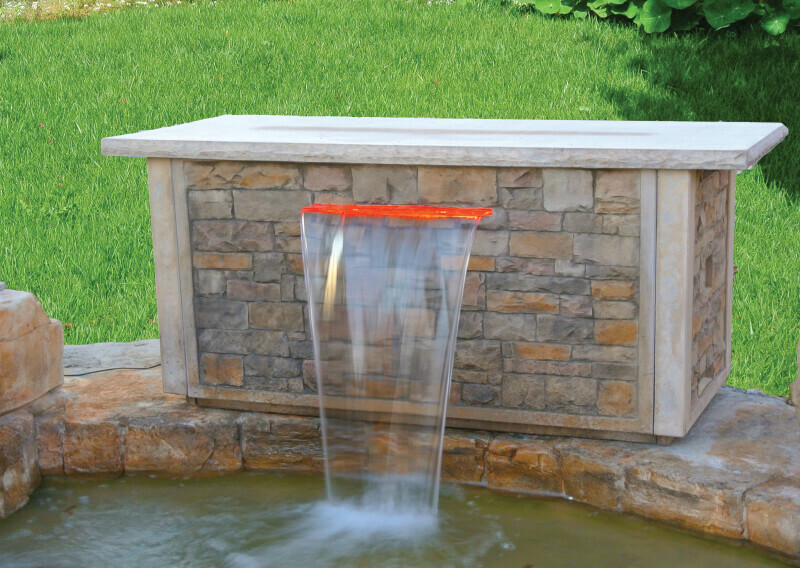 It can be ordered with a 12 or 24 inch ColorFall spillway and a 24 inch Linear Fire Effect is also available. Vent holes are provided and a propane tank can fit in the hollow cavity of the bench. Dimensions: 5 ft 10 inches wide x 20in deep, 20 inches high. 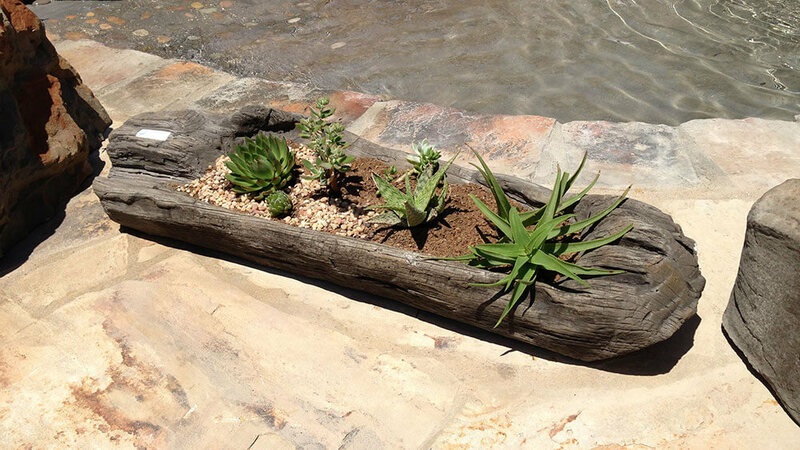 The Countertop is a great functional piece for a swimming pool environment. Options include a 24 Inch Colorfall as shown or a 48 inch Linear Fire effect (not shown). The top is a polished concrete, or an exposed aggregate is available at extra cost. 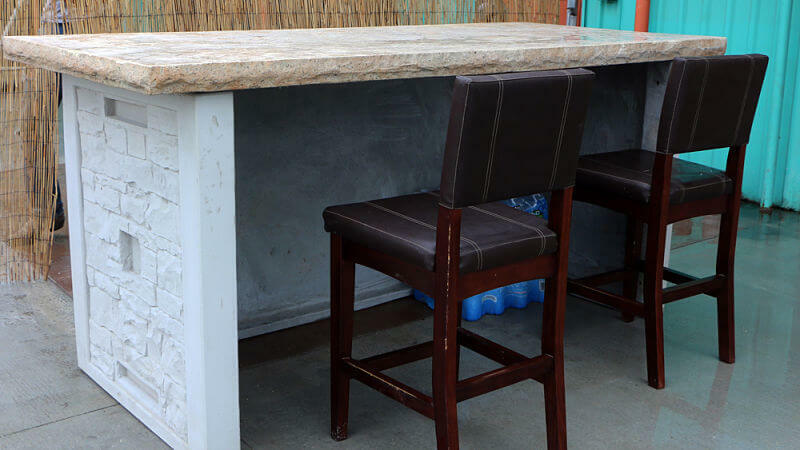 A granite top can be provided by others or a tile surface can be added later. 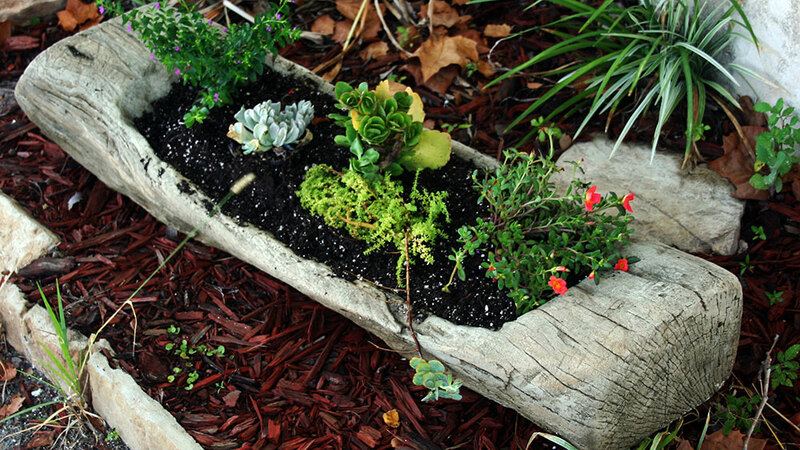 Dimensions: 72”wide, 32”deep, 32” high. Comes in 4 Pieces for easier shipping and bolts together on-site with hardware included. 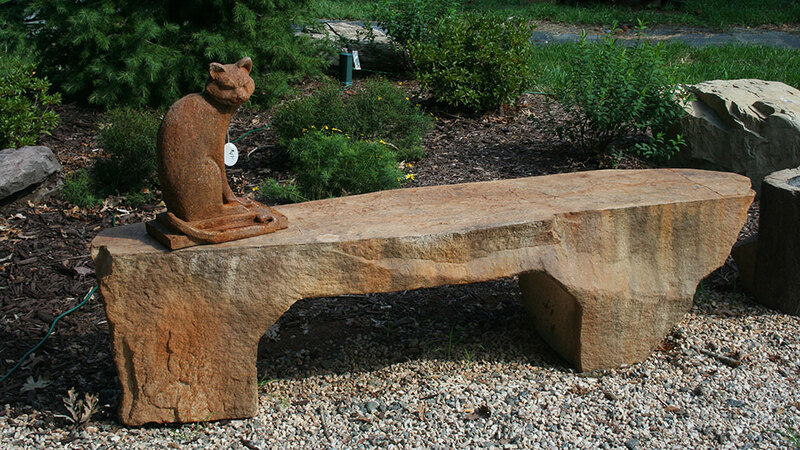 Originally sculptured from granite the copies of this bench weigh less than 300 lbs, sturdy enough to last decades but convenient to move as needed. Normally the top has a rock texture finish but a tile mosaic can be added for a classy look. 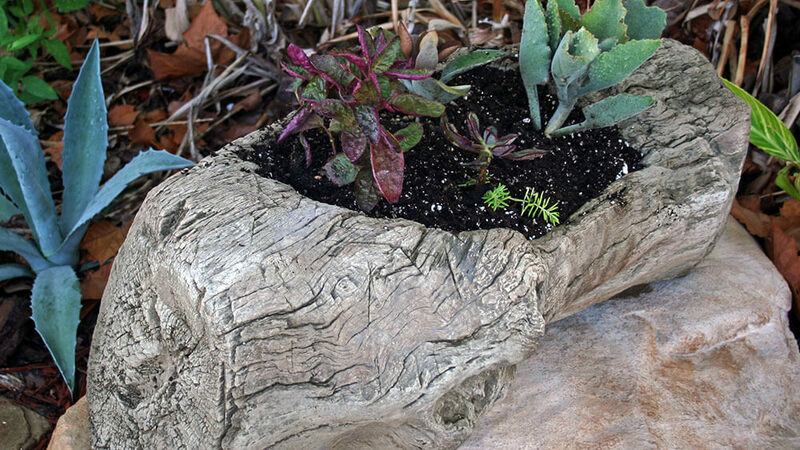 Great for succulents or cactus these unique planters were molded from small logs that were carved out to feed farm animals and the concrete versions can work the same. 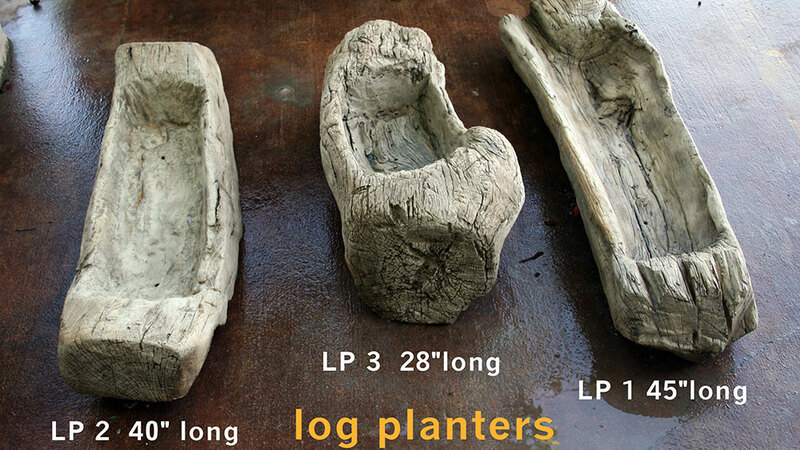 Found on an old plantation in Virginia this ancient stump has been molded and functions as a fire effect but can also make a shallow planter or bird bath.